If you weren't lucky enough to be at Durban's People's Park this weekend for MTV Africa All Stars gig, then don't despair; tune into the TV premiere of “MTV Africa All Stars KwaZulu-Natal with Snoop Lion” this Saturday for a dazzling special on the historic concert (MTV Base, DStv Channel 322, 25 May @16:00 CAT). 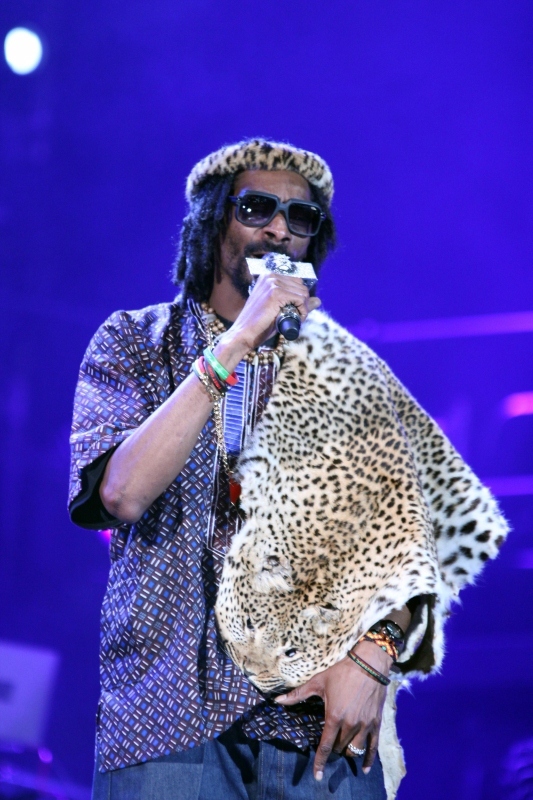 More than 12,000 music fans of all ages rocked Durban’s People’s Park, Moses Mabhida Stadium on Saturday 18 May as MTV Base and KwaZulu-Natal Province staged the sensational All Stars concert, MTV Africa All Stars KwaZulu-Natal with Snoop Lion. The sell-out concert featured show-stopping performances from Snoop Lion and an all star lineup of Africa’s biggest contemporary music stars, including 2Face, D’Banj, Fally Ipupa, Flavour, Professor, Big Nuz, Camp Mulla, Zakes Bantwini and Zahara. DJ Cleo and DJ Caise performed, while DJ Tira took to the stage as part of Big Nuz's set. 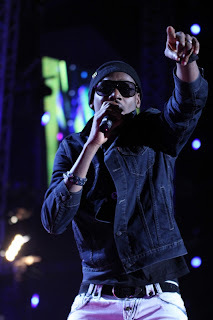 The outdoor gig was a triumph from the moment Camp Mulla opened the concert with “Fresh All Day”, to the finale where Snoop Lion was joined on stage by all the African artists. Highlights included Snoop Lion’s first appearance on stage singing “Here Comes the King”, dressed in a traditional leopard skin Zulu outfit gifted him by members of the Zulu royal family, a beautiful acoustic version of “Loliwe” by Zahara, a bubble-strewn performance of “La Vie est Belle” by Congolese artist Fally Ipupa, a typically upbeat set by Big Nuz, and a high octane finale of “Young, Wild & Free” by Snoop Lion and the African All Stars, in which every member of the audience joined. Other show-stopping moments included a duet of “Mr Endowed” by Snoop Lion and D'Banj, while Big Nuz, Zakes Bantwini and Professor did their best to teach Snoop Lion some new moves, Zulu-style! State-of-the-art lighting saw People’s Park bathed in a kaleidoscope of colour, while a stunning LED light show, gorgeous graphics, CO2 jets, pyrotechnics, giant globes and confetti canons completed the out-of-this-world staging on the gigantic purpose built All Stars stage. 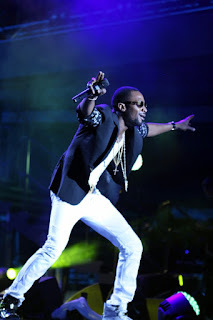 Tweeting after the concert, Nigerian “kokomaster” D’Banj (@iamdbanj) said, “Wanna thank Durban fr a wonderful time @MTVBaseAfrica fr putting together a great show. To my uncle @SnoopDogg for making history in Africa”. Speaking after the concert, Desmond Golding, the Head of Department of Tourism and Economic Development, KwaZulu-Natal Province commented, “MTV Africa All Stars KwaZulu-Natal with Snoop Lion, which was an outstanding and greatly executed concert, has seriously raised the benchmark on live music events in sub-Saharan Africa, and the status of KwaZulu-Natal's capability to host major events. We are proud of our involvement in the All Stars campaign, including the concert, the pan-African tour and the music industry workshop, which has focused the eyes of the world on KwaZulu-Natal as a hub for tourism, investment and culture." “MTV Africa All Stars KwaZulu-Natal” will premiere on TV on MTV Base (DStv Channel 322) and terrestrial TV partners from Saturday 25 May at 16:00. The concert will also feature in two separate episodes of MTV’s critically acclaimed “World Stage” franchise, to be broadcast to more than half a billion households worldwide. 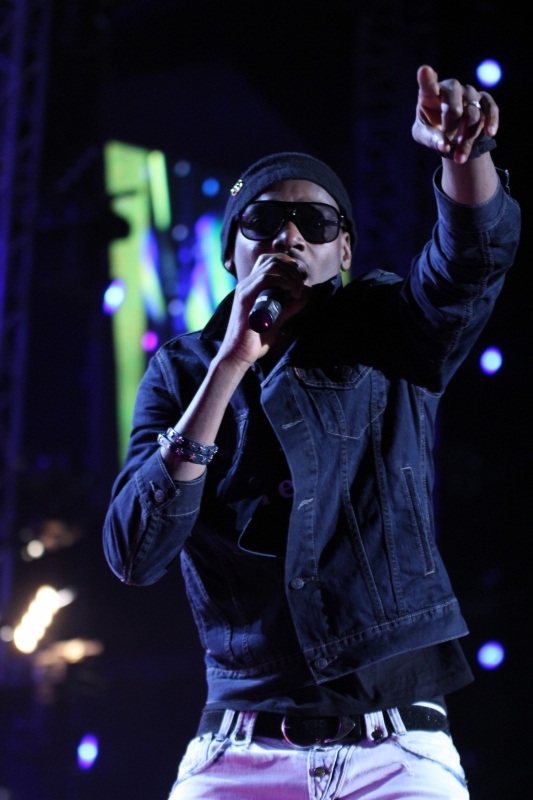 “MTV World Stage: Snoop Lion” will premiere on MTV (DStv Channel 130) across Africa on Friday 28 June, while “MTV World Stage: Africa All Stars” will air in September 2013. Recorded “live” at the world’s most exclusive gigs, renowned music festivals and unique concert locations, MTV World Stage is the “front row seat” for music lovers to experience the biggest artists without leaving the comfort of their sofas. Previous World Stage events have taken place in Athens, Rome, London, Buenos Aires, Beijing and Tokyo, showcasing artists including Justin Bieber, Kings of Leon, Coldplay, Muse, Green Day, Lady Gaga, Jay Z, Metallica, Katy Perry, The Black Eyed Peas, Arcade Fire and many more.